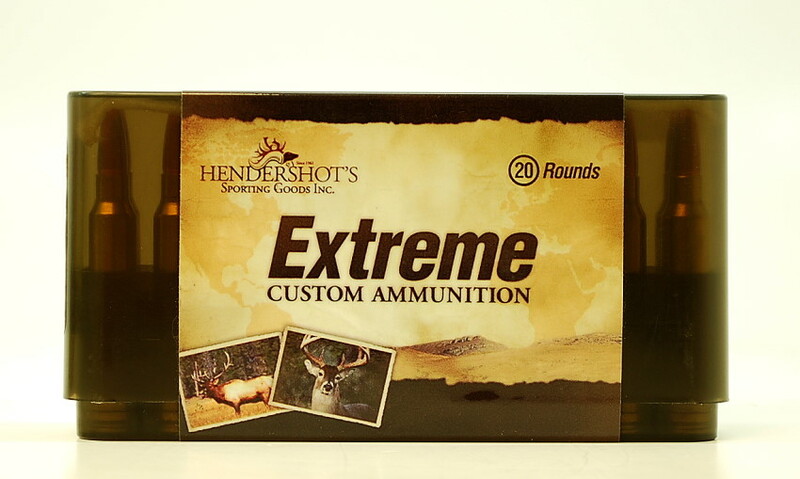 338 Federal - Hendershot’s Sporting Goods, Inc.
Hendershot’s “Extreme” Custom Ammo is your best source for 338 Federal ammunition. There are many great choices for the 338 Federal which are only available by handloading. Let us improve the perfomance of your rifle with our custom ammo! Barnes TSX, and Tipped – The deepest penetrating bullets, they offer excellent accuracy and terminal performance. Lead-Free design makes them legal in all areas of California. 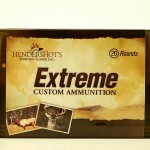 The 160gr Tipped TSX is outstanding for deer and hogs! Nosler Accubond – They offer very good weigh retention and reliable expansion at all velocities, always a great choice! Swift A-Frame – When it comes to lead core bullets, the A-Frame offers the best weight retention and most predicable expansion characteristics of any bullet on the market! We are more than happy to discuss bullet performance relating to our 6.5 Creedmoor ammunition and bullet selection for your rifle. Please call us at (240) 347-4883 and we will be happy to speak with you!